LLOOOOOOOK! They drew one of my monkeys into the flyer!!!! This is what I have been getting ready for the past couple months. 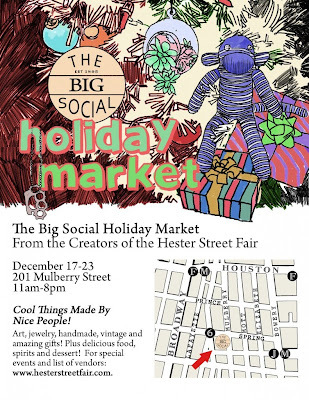 It is the Big Social Holiday Craft Fair. I will be there every day from 11-8 at the Open House Gallery in SOHO. 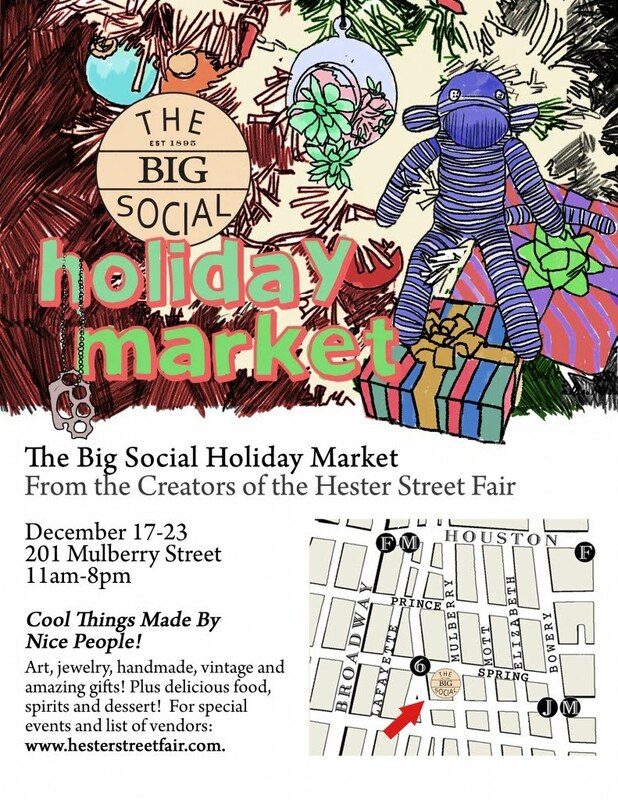 Please come by and shop all the vendors you know and love (MEE!!) from the Hester Street Fair!! !